Holiday on Ice Now Available and The Kent Brothers Trilogy on Sale! 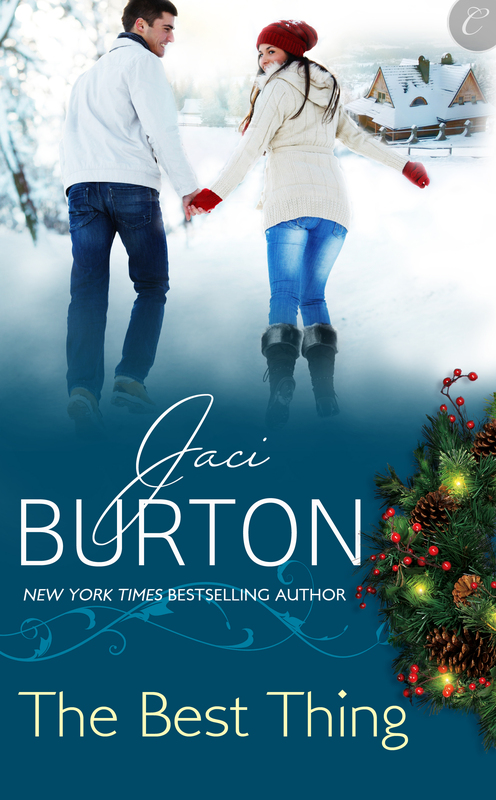 HOLIDAY ON ICE, Book 8.5 of the Play by Play series, is now available! This book is a novella, therefore too short to put in print and is available digitally only. In other holiday book news, the entire KENT BROTHERS TRILOGY is on sale for a short period for .99! If you haven’t purchased HOLIDAY GAMES yet, the price has been reduced to $1.79. I don’t know for how long, so get your copy now! And don’t forget that all 3 of my Kent Brothers books are on sale for 99 cents for a limited time. I wanted to give you all a heads up that for a limited time, all 3 of my Kent Brothers holiday novellas are on sale for 99 cents each. iBookstore – For some reason there’s no iBooks link for this book. Checking on this and hopefully it’ll be up shortly. Holiday Kisses Now In Print! 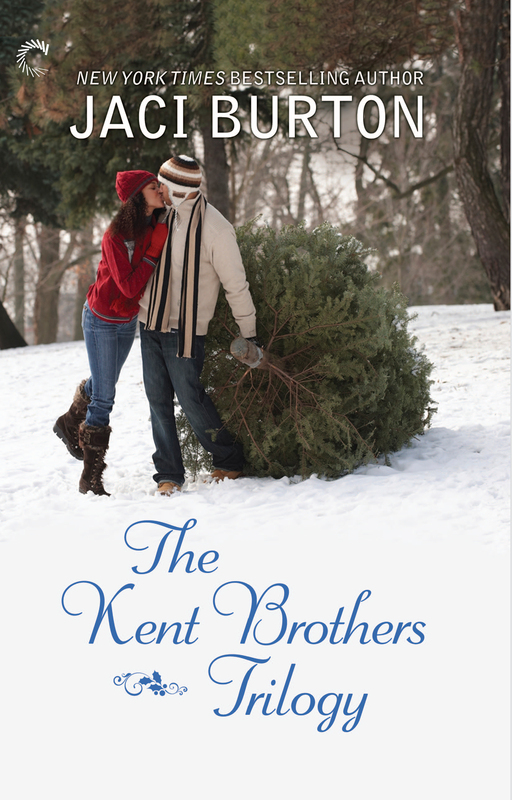 One of the Kent brothers is now available in print! A Rare Gift, the second book in my Kent brothers series, is now in print in the Holiday Kisses anthology. 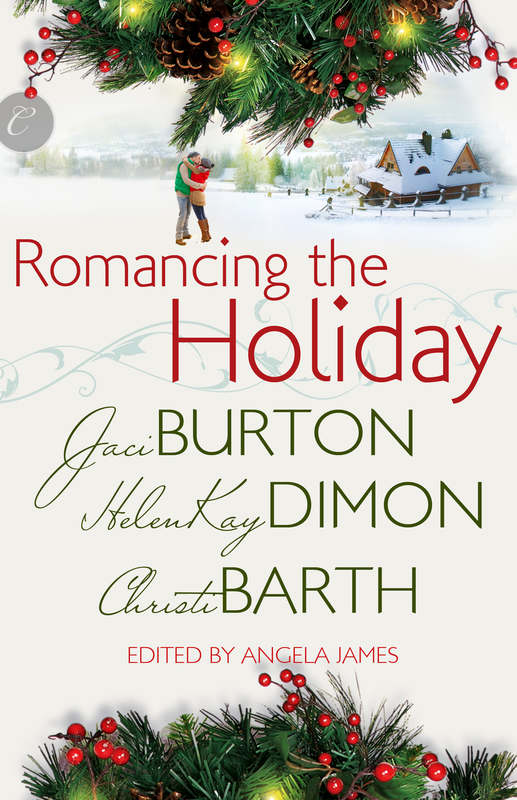 And you not only get my novella, but also amazing holiday novellas by Shannon Stacey, HelenKay Dimon, and Alison Kent. You could win 1 of 25 print copies of the HOLIDAY KISSES anthology, which will be released later this month! Head on over to Goodreads to enter for a chance to win! It’s release day for THE BEST THING, the third and final story in my Kent Brothers trilogy! I couldn’t be more excited that Brody and Tori’s story is finally out in the wild! You can purchase THE BEST THING at Amazon, Barnes & Noble and at Carina Press, or any of your favorite online retailers. A memorable three-night stand gets rekindled in a cabin in West Virginia. An office romance is sparked by an impulsive holiday kiss. And two best friends scout locations for a marriage proposal and discover that they make a perfect match. ’Tis the season for laughter, love and a lifetime of happiness. 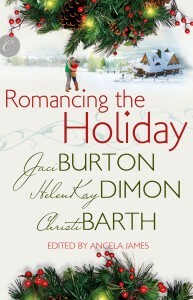 ROMANCING THE HOLIDAY can be purchased at Amazon, Barnes & Noble, Carina Press, or your favorite online retailer. And if you haven’t read the first two books in my Kent Brothers series, you can check out ALL SHE WANTS FOR CHRISTMAS and A RARE GIFT by clicking on the links, and read about the Kent Brothers series here. Thanks to everyone who posted on the Seventh Day of Christmas gift giveaway. The winner has been chosen randomly. Congrats to LYNNE, Comment #2. You win the holiday goody prize pack. I’ll be emailing you shortly. Don’t forget THE BEST THING releases a week from today! And thanks again everyone for participating! The Best Thing Contest Winners! Thanks to everyone who entered to win an early copy of THE BEST THING! Thanks, everyone! Winners, I’ll be emailing you shortly. THE BEST THING, the third and final story in my Kent Brother series, releases in two weeks! So how about I give away an early copy–or two? Note: THE BEST THING is a digital release, so winners will receive a digital copy of the book, in Epub or pdf. To be entered to win, this week is Thanksgiving in the U.S. Tell me what you’re thankful for. I’ll choose winners on Wednesday. The holidays are always the best time of year. Not only is the food spectacular, but it’s also when some classic holiday movies are due a re-viewing. And one of my favorite movies has always been White Christmas, with Bing Crosby, Danny Kaye, Rosemary Clooney and Vera Ellen. It’s a very (very) old movie, but the reason I love this one so much is because it reminds me of my mom and dad, who are no longer with me. When I was a child, this movie would play on Saturday nights every holiday season, and it was a special occasion. I would cuddle up with my parents and it was a particular favorite of my mom’s. It was an event night, and that made it even more special. My mom and I would sing all the songs, remark on Rosemary Clooney’s beautiful voice, and Vera Ellen’s small waist and amazing dance skills (after all, being girls, we had to identify with the ladies, right?). After I grew up, I had two boys, who couldn’t really get into this movie (sad), but I introduced my stepdaughter to White Christmas, and she fell in love with it and still watches it every year. It fills me with warmth to know I’ve introduced this corny yet fun movie to a new generation. It’s just not the official holiday season until I’ve seen White Christmas. Besides the costumes and music and dance, the romance between Bing Crosby and Rosemary Clooney is at the central core of the story. Two people who think they couldn’t be more wrong for each other, when in actuality they couldn’t be more right for each other. He pursues her, and she balks. She thinks he’s a player, but he might just be ready to settle down—with the right woman. 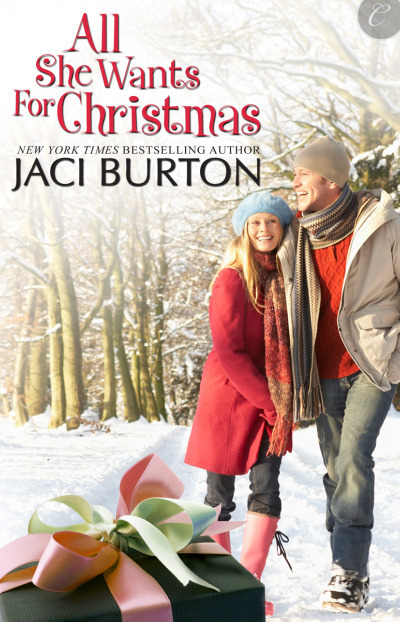 It’s very much like The Best Thing, my holiday novella coming December 3rd from Carina Press. Brody Kent is a notorious womanizer, and Tori Lewis wants nothing to do with him, even if she has carried a torch for him for years. Brody’s ready to settle down—with Tori, but Tori’s afraid she’s going ot end up just another notch on Brody’s bedpost. He intends to show her he’s serious this time, and doesn’t intend to let her go. As part of the Twelve Days of Christmas Promotion, you can win a copy of THE BEST THING over a the Happily Ever After USA Today Blog, so head on over there to enter. 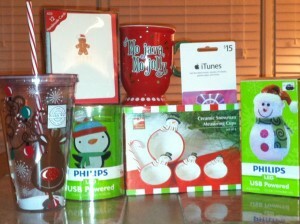 Here on my blog, you can win this awesome prize pack of 7 gifts as part of my 7th day of Christmas giveaway. 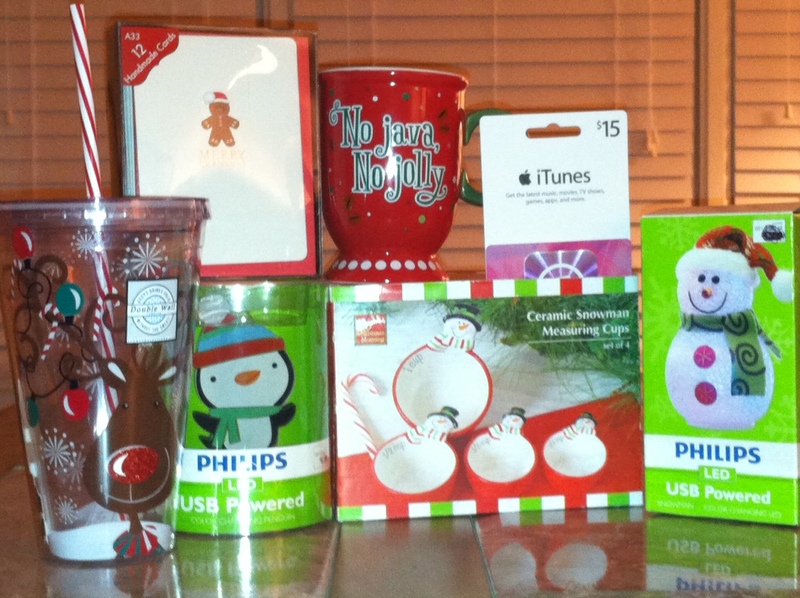 The prize pack includes two holiday LEDs, a mug, glass, measuring cups, cards and an iTunes gift card. To be entered to win the prize pack above, leave a comment about a family holiday tradition that means a lot to you. This contest will remain open until November 26th.